I hope everyone had an amazing weekend. It was Thanksgiving weekend for us. We host Thanksgiving at our house each year which I love, but it's a lot of stress. I feel like the fate of the holiday rests in the hands of my turkey*. I got a lot of great reading done last week. I finished reading Dead Ringers which was a scary surprise. I also read My Diary from the Edge of the World which really wasn't a book for me. The writing was great, but I couldn't believe a word of it. I finished reading the second Amulet book - The Stonekeeper's Curse. It wasn't as great as the first one, but I jumped right into book three. 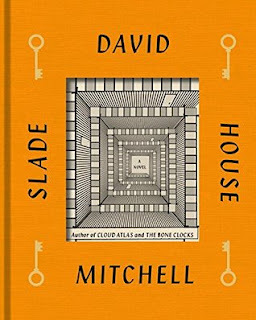 I also read Slade House by David Mitchell. I think this is one that will continue to grow on me. 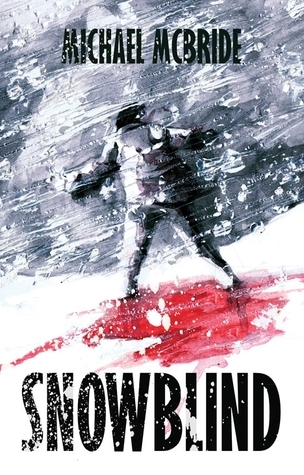 It's very classic horror, but very new at the same time. 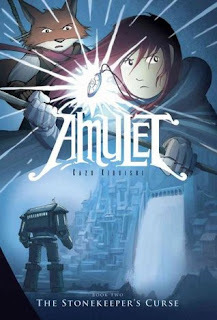 I'm almost finished with Michael McBride's Snowblind, and as I mentioned, I'm also reading the third Amulet book The Cloud Searchers. What about you? What are you reading this week? Be sure to let me know in the comments or leave me a link! 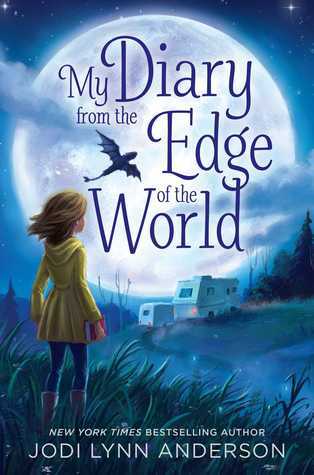 This post is being shared as part of Book Date's It's Monday! What Are You Reading? There's so much pressure on the turkey person! That and stuffing (and green bean casserole) were on my list this year. I think the biggest thing with the turkey is that you don't REALLY know how it's turned out until you cut into it and take a bite and by the time it's cooked it's too late to do anything about it if it has turned out wrong! I got a few things read over the holiday including Greer Macallister's THE MAGICIAN'S LIE and half of Jonathan and Jesse Kellerman's THE GOLEM OF HOLLYWOOD, the latter of which started a little oddly but is now one I can't wait to get back to! 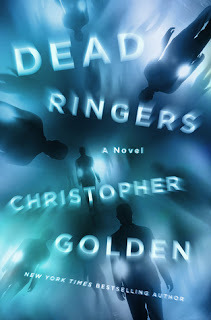 I NEED to read DEAD RINGERS and SLADE HOUSE! I had a quiet Thanksgiving. I just did a turkey breast which was stressful enough as it was finished 30 minutes before the directions said. None of the sides were ready 30 minutes early though. Here is my Monday Report. Happy reading! Oh, yes. The timing of the sides! A quiet Thanksgiving sounds lovely. I can only imagine hosting a Thanksgiving dinner and imagine the stress of that Turkey, they are difficult things to get right. No one enjoys dry turkey! It's so hard not to worry about ruining everyone's meal. I also have a ham and tons of sides, but truly - you need the turkey. It is stressful, we had it too and yeah you worry the turkey won't be right. Luckily it turned out OK. :) It's nice to be home though. I hosted Thanksgiving for the first time this year. Talk about stress! Now that it's over and company is gone I hope to snuggle down and get a lot more reading done. 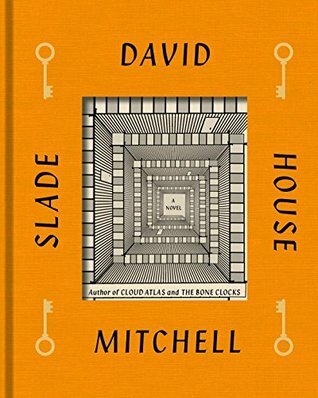 I really want to read Slade House. Yes, I imagine we all need to take a bit of an after Thanksgiving break! Slade House is quite a different read. You are brave to read horror. Hosting a holiday party is stressful. I'm lucky we have no more than 15 and are hosting Christmas in our new home this year. The tree is up as my husband was good taking it out Sunday. It was my job to fluff up the artificial branches and the kids trimmed the tree. We turn on the lights every chance we get. You have interesting reading this week. 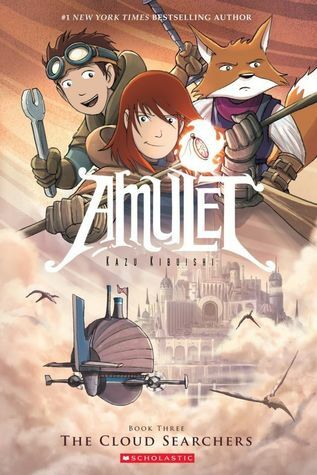 I don't read many middle grade books but the ones my tween reads sound really good. She gets hooked on new series after every library trip. 15 is a lot! I bet your Christmas will be wonderful. We do an artificial tree, too. It makes it pretty easy to get it up just after Thanksgiving. My son is hooked on the Diary of a Wimpy Kid series right now. I'm hoping he will find another series he likes that much. He's always been a reluctant reader.